Well hey! We've had a biggggggggggggg busy weekend jam packed with fun, friends and food.... lotssss of food... but now we're back to real life... also known as work. As I run my own business, run this blog (and test/photograph/create all of the recipes you see here) and also help out with different church things during the week, my weeks are generally jam packed - to the point where, as I'm writing this, I'm switching between tabs to reply to emails/getting things done.answering phone calls so I don't have to play too much catch up. Because I am so busy, I often don't have too much time for making elaborate meals or snacks - it's usually a quick bite to eat at my desk before I rush out the door or get straight back into it. 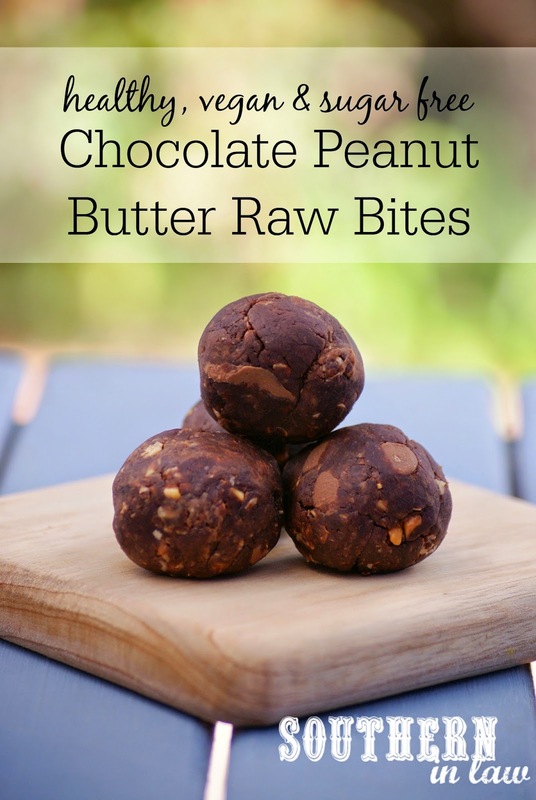 Raw bites are my go-to snacks during the week as they're delicious, mess free and can be easily packed up for an on-the-go snack! These raw bites are one of my latest creations and my current obsessions. 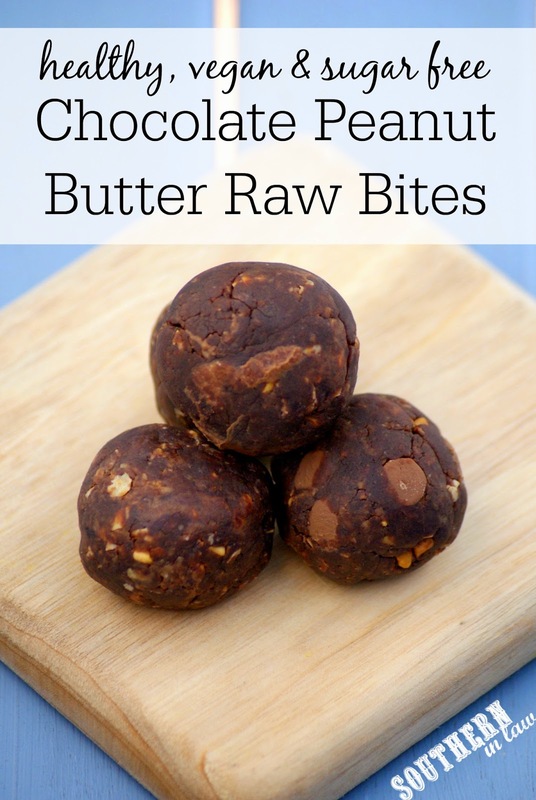 We call them Peanut Butter Raw Brownie Bites because they seriously taste like a brownie - but they're completely and utterly healthy. Best of all - they take just minutes to make and can be made in big batches and frozen for quick snacks! Melt your peanut butter and stir in your maple syrup until smooth and combined. Remove from the heat and stir in your cocoa, peanut flour and quick oats and keep stirring until all ingredients are incorporated and your mix is like a dough. Fold through your chocolate chips and roll your mixture into balls. Chill in the fridge until firm or freeze for quick snacks when needed! But tell me, what are your go-to snacks when you're busy? And what's the best recipe you've made recently? You've got that right, Trish! just made these and popped them in the freezer for the week ahead. well tried a little bit then popped them in the freezer. yum again! can you make these with regular flour and and regular oats?